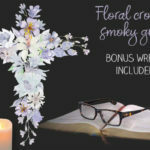 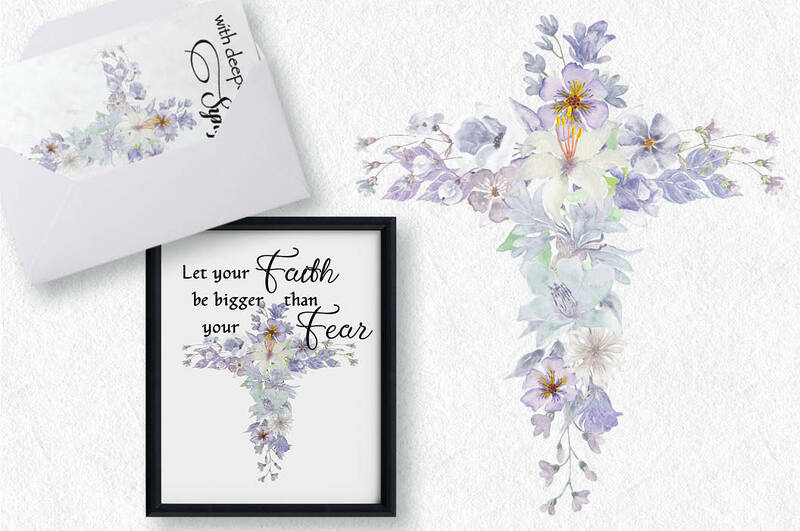 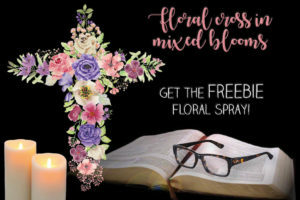 This cross has been created with hand painted watercolor flowers in smoky shades of grey, blue, lilac and ivory. 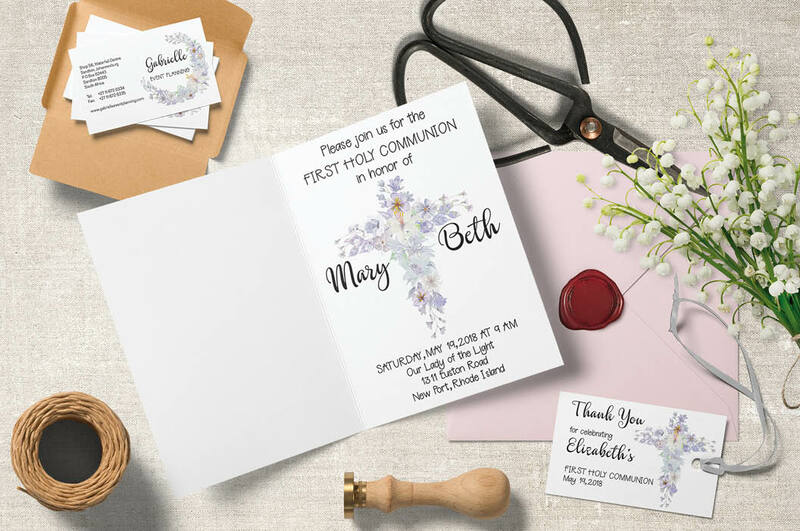 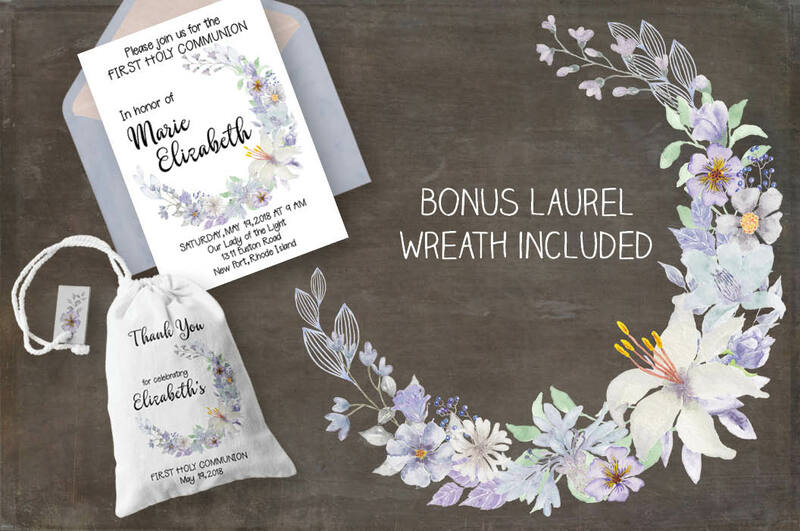 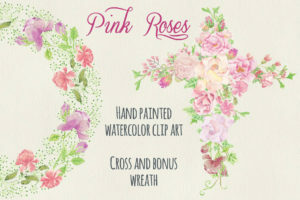 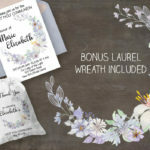 It’s perfect for first communion invitations, favor decorations and thank you cards, plus sympathy cards, devotional stationery and the like. 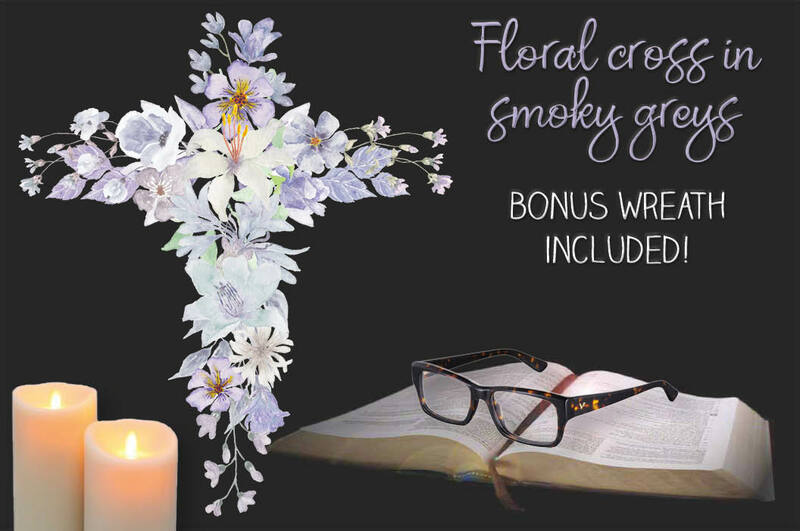 The listing includes a bonus laurel wreath in matching flowers. 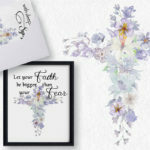 The cross measures 8 X 9 inches (2400 X 2700 pixels). 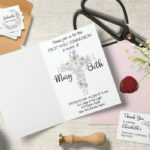 1 zipped folder is immediately available for download following purchase, containing the cross and the wreath (JPEG and PNG) – 4 files.